And this gospel of the Kingdom shall be preached in all the earth for a testimony to all the nations, and then will come the end. 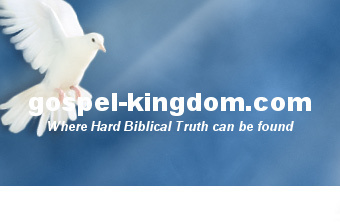 My Vision is to help bring the Gospel of the Kingdom to all the nations (not the gospel of salvation, Click here to see the difference: Click here ), to help usher in the reign of Christ. Also, to make available Kingdom and discipleship teachings for the church, the overcomers, and those believers after the rapture. 25 And everyone who strives for the mastery is temperate in all things. Then those truly that they may receive a corruptible crown, but we an incorruptible. God has called me to be a balance. I try not to minister in extremes. I try to filter all my doctrine and teaching through this principle. It is my belief, that the people and church of God, in some capacity, in most cases, seek after His truth. During the course of history, the church became divided. It is my belief that you can find pieces of truth from perhaps every denomination and movement of God. I like to say, "A broken clock is right twice a day." Therefore, I try to see truth even where God has used those people whom I even disagree with. It is the pride of man that often separates men and keeps them from seeing the work of God in others. As an example, how I have dealt with my greatest spiritual father, Watchman Nee (go to the bottom of this page for more about Nee: click here), is a good example of separating out what he mixed into God's revelations. Many Christians are so quick to judge and condemn; but if we repent of pride, we can easily glean truth from people who have missed God in some part. On the other side of the scale, we ought not to stand on doctrine just because others we agree with believe it as such. We shouldn't build doctrine from tradition nor refuse to listen to other doctrines because we or our group does not. Doctrines should be based on scripture alone. I go into detail about this kind of discernment here: How can you be sure what method is correct in finding God? 1. I believe there is only one true God. 1 Cor 8:4: As concerning therefore the eating of those things that are offered in sacrifice unto idols, we know that an idol is nothing in the world, and that there is none other God but one. 6: But to us there is but one God, the Father, of whom are all things, and we in him; and one Lord Jesus Christ, by whom are all things, and we by him. 16: They provoked him to jealousy with strange gods, with abominations provoked they him to anger. 17: They sacrificed unto devils, not to God; to gods whom they knew not, to new gods that came newly up, whom your fathers feared not. 2. I believe God has three persons. Man is triune, so is God. For there are three that bear witness in heaven: the Father, the Word, and the Holy Spirit; and these three are one. ... God was manifested in the flesh, ... preached among nations, believed on in the world, and received up into glory. 9 For in Him dwells all the fullness of the Godhead bodily. Therefore take heed to yourselves, and to all the flock over which the Holy Spirit has made you overseers, to feed the church of God which He has purchased with His own blood. 4. The Bible is God's Word. The Word of God is the highest authority in any realm of existence. Jesus is the highest form of God's Word. The Bible is just a shadow of Him. 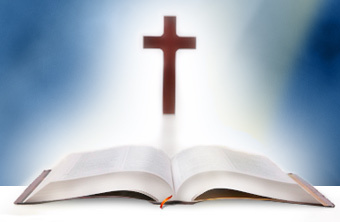 The Bible also should be interpreted with itself and with the Holy Spirit. The Bible does not contradict itself but does have paradoxes. If a scripture contradicts a doctrine, then we must change our doctrine, not reinterpret scripture. What is the highest standard to find God with? Psalm 138:2 LITV ...You have magnified Your Word above all Your name. 39 But we are not of those who shrink back to destruction, but of those who have faith to the saving of the soul. 35 ¶ But someone will say, How are the dead raised up, and with what body do they come? 36 Foolish one! What you sow is not made alive unless it dies. 37 And what you sow, you do not sow the body that is going to be, but a bare grain (perhaps of wheat or of some of the rest). 38 And God gives it a body as it has pleased Him, and to each of the seeds its own body. Beloved, now we are children of God, and it has not yet been revealed what we shall be. But we know that when He shall be revealed, we shall be like Him, for we shall see Him as He is. 6. I believe in a pretribulation rapture. But not for all Christians. Or here: Are You Prepared for the 2nd Coming? 8. I believe that the sacraments (baptism, communion...) are all symbolic representations of a faithful Christians walk. I also believe in full submersion of persons who can consciously make a commitment to Christ. Because sacraments are symbols and because many people are in circumstances disallowing them, as well as scriptural evidence; sacraments are not mandatory for salvation. Salvation (of the Spirit) is a free gift based only upon belief and acceptance. Salvation of the soul, however, is dependent upon the significance behind the sacraments, which are only a shadow of the obedience of the soul to God. 7 or "Who shall descend into the deep? "; that is, to bring up Christ again from the dead. For false christs and false prophets will rise and show signs and wonders to deceive, if possible, even the elect. What details must be involved in determining whom the true Christ is? I am not certain, but it may be His divinity. Those who do not accept Christ as God, should really check their own fruits, and the fruits of their teachers. To see if they bear fruit of the Spirit, or division. But there seems almost a universal consensus of the christian church that Mormons and Jehovah Witnesses serve a different christ. If you study the christ they preach, it is VERY different than the christian Christ. not forsaking the assembling of ourselves together, as the manner of some is, but exhorting one another, and so much the more as you see the Day approaching. 11. I believe in a literal 1000 year reign of Christ on this earth. After which, the Father will continue to let Christ rule through eternity on the New Earth and in the New Heavens. 12. Angels and demons are real. These are spirits that were never human. Scripture says these spirits were made to minister to believers and some to God. 14 Are they not all ministering spirits, sent forth to minister for those who shall be heirs of salvation? 8 And each one of the four living creatures had six wings about him , and within being full of eyes. And they had no rest day and night, saying, Holy, holy, holy, Lord God, the Almighty, who was and is and is to come. 3 And another sign was seen in the heavens. And behold a great red dragon, having seven heads and ten horns and seven crowns on his heads! 4 And his tail drew the third part of the stars of heaven, and cast them onto the earth. And the dragon stood before the woman being about to bear, so that when she bears he might devour her child. 14. I believe the governments are from God. 1 Let every soul be subject to the higher authorities. For there is no authority but of God; the authorities that exist are ordained by God. 2 So that the one resisting the authority resists the ordinance of God; and the ones who resist will receive judgment to themselves. 3 For the rulers are not a terror to good works, but to the bad. And do you desire to be not afraid of the authority? Do the good, and you shall have praise from it. 4 For it is a servant of God to you for good. For if you practice evil, be afraid, for it does not bear the sword in vain; for it is a servant of God, a revenger for wrath on him who does evil. 5 Therefore you must be subject, not only for wrath, but also for conscience' sake. 6 For because of this you also pay taxes. For they are God's servants, always giving attention to this very thing. 7 Therefore give to all their dues; to the one due tax, the tax; tribute to whom tribute is due, fear to whom fear is due, and honor to whom honor is due. 15. Everything I teach and believe is by faith. God made it so that we need the church and ministers to teach us doctrine. The Bible is not meant to be a handi-book of easy to read doctrines. The doctrines must be dug out and taught. For this reason, ministers will receive a stricter judgment. While many of my beliefs are accepted through most of christendom and many of my more "rare" teachings are from a handful of ministers, I have gleaned many truths from many different sources. One of my favorite sayings is "a broken clock is right 2 times a day". One of the baptisms in the Bible is called the Baptism into the Cloud (click on that link for more info) (1 Cor 10:2). This baptism is God's calling the church to follow after Him. This is often results in the restoration of doctrine and theology. The Reformation is a prime example of this. What often happens though, is man follows God to a lost truth then makes a camp there, refusing to follow God any further. We can glean truths from such stale camps, but should continue to follow God further ourselves. 1 Cor 13:12: For now we see through a glass, darkly; but then face to face: now I know in part; but then shall I know even as also I am known. 2 For I decided not to know anything among you except Jesus Christ, and Him having been crucified. 1. You can escape tribulation through the rapture without maturing. Christ will physically appear in the desert or wilderness. Or He will appear in some meeting room. (Fire Insurance mentality, won't work. Jesus also explained He will not return in such a method.) See here: Are You Prepared for the 2nd Coming?